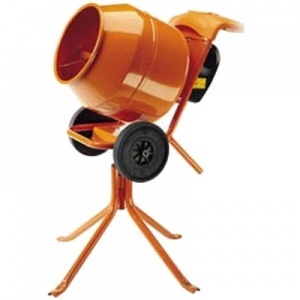 This is an affordable yet high quality electric mixer that's a great solution to allow regular mixing of small amounts of cement without hassle. 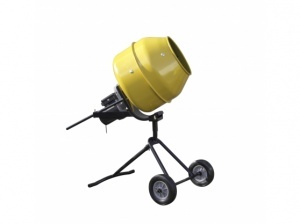 It has a 125 litre hopper with a rapid 26.6rpm rotation-speed. 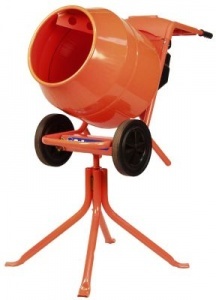 This 375w electric tripod-stand mixer is ideal for preparing concrete, cement, mortar, floor-screed and render. It has a 134kg (90 litre) drum capacity and a 23rpm drum-rotation rate. 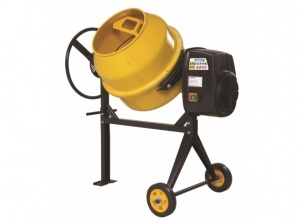 The 110 V Belle MINI 150 concrete mixers are easy to use/transport, and built to high standards..
Lightweight and portable, the Belle MINI 150 concrete mixers mix a full barrow-load.